Does listening to Mozart make us more intelligent? Is there such a thing as a gay gene? Does the size of the brain matter? Does the moon influence our behaviour? Can we communicate with the dead? Can graphology tell us anything about a person's character? Is the human brain clonable? What role do dreams have in cognition? Can mind conquer matter and diseases? Are out-of-body experiences possible? Can we trust our intuitions? To some, the answer to all these questions might well be a resounding 'no', but to many people these represent serious beliefs about the mind and brain - beliefs that drive their everyday behaviour, beliefs that cost them huge amounts of money. Whole industries have developed founded on these dubious claims about the mind and brain. Even major corporations have dabbled with assessment methods such as those advocated by graphology, accepting and rejecting candidates on the basic of their handwriting. Expectant parents buy books and tapes by the dozen showing them how to improve the intelligence of their child by playing them classical music. People subscribe to expensive therapies founded on beliefs rather than science, or risk their health buying books that tell them how they can conquer illness through positive thinking, perhaps at the expense of more scientifically proven treatments. 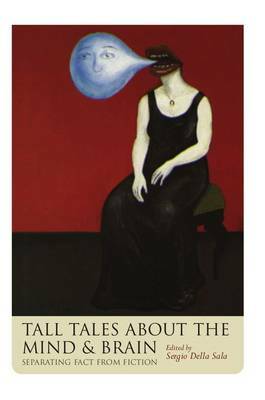 Tall Tales about the Mind and Brain presents a sweeping survey of common myths about the mind and brain. In a lighthearted and accessible style, it exposes the truth behind these beliefs, how they are perpetuated, why people believe them, and why they might even exist in the first place.